New year means 'new reading', and we welcome the now-traditional curtain raiser to the year: who has won the Costa Book Awards. With categories covering novels, first novels, biography, poetry and the best children’s book of the year, it’s a first chance to see what were the great authors and books to emerge from the past year. 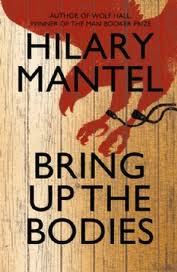 Hilary Mantel’s ‘Bring Up The Bodies’ was no surprise winner - either for best new novel or overall winner. Following on from her tour de force in ‘Wolf Hall’, she returns to the same period and the same characters to continue the story of Tudor history through the eyes of Thomas Cromwell. One of the most talked about books of last year in the shop, for anyone who loved 'Wolf Hall' the feeling was that 'bodies' was an even more accomplished book. Probably the most original of choices for the Costa is a graphic memoir, which has won the biography category, and is the first comic-book format ever to do so. Part personal history, part biography, ‘Dotter of Her Father's Eyes’ by Mary Talbot weaves two stories together: that of the author's own troubled relationship with her father, the eminent Joycean scholar James S Atherton, and the story of James Joyce's tragic daughter Lucia, who spent the last 30 years of her life in a mental institution. Its atmospheric, visual storytelling by award winning comic artist and graphic novel pioneer Bryan Talbot, has obviously caught the imagination of the judges. Even as graphic works continue to grow in popularity, it is still unusual to see a collaboration between writer and artist - rarer yet to see one achieve critical acclaim in a 'mainstream' genre. 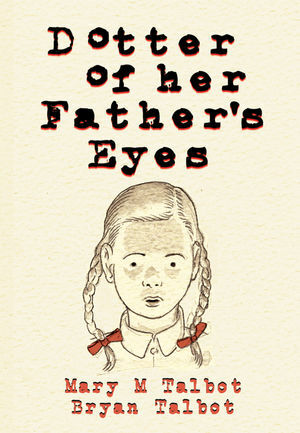 'Dotter of Her Father's Eyes' is intelligent, funny and sad. 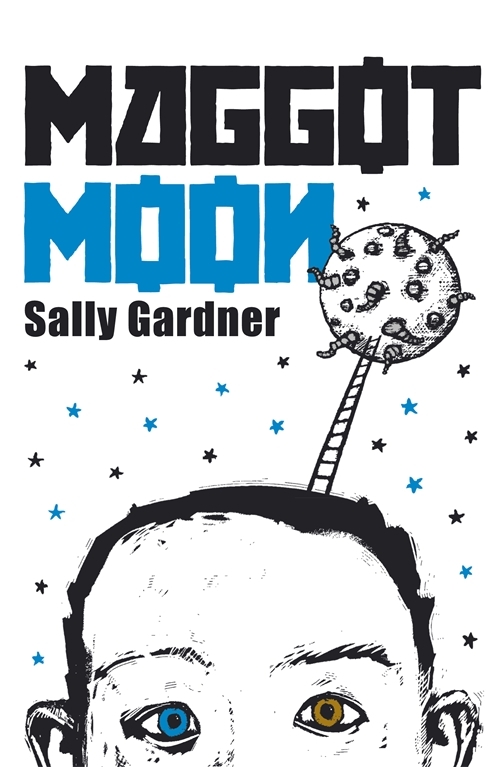 Children’s book of the year goes to Sally Gardner for ‘Maggot Moon’. Best known for her previous children’s novel ‘I Coriander’, Sally Gardner is no stranger to awards. This one for teens is an Orwellian world viewed through the eyes of a dyslexic boy. It’s a brutal, although ultimately uplifting story. "This is a brilliant - if brutal - portrayal of the triumph of individualism over a totalitarian state. Deserving comparisons with 1984, the story follows Standish Treadwell, a dyslexic, drop-out under surveillance in Zone Seven of 'The Motherland'. When his football accidentally goes over the fence into a no-man's land, he discovers the Motherland's plans for a Moon Landing are not all they seem, and he - and a rag-tag group of other undesirables and family members overcome their fear and hopelessness to reveal the truth..."
It's been a great year for Sally Gardner - as far as Mostly Books is concerned - with 'Operation Bunny' one of our biggest-selling books over Christmas. Special congratulations should go to her, and also to publisher Hot Key Books, scoring a big success in its first full year publishing children's books.